Any day now we’ll be seeing snow flutter down from the sky and it has us in the holiday spirit. Time to bring out all those jewel tones. We love those gorgeous jewel tones but if you’re looking to take a break from bathing your home in red and blue, here are a few ways to change up that holiday palette. The change of seasons brings with it cozy nights by the fire and we usher in warm neutrals where bright fall colors once were. Bring those into your home this season with a little creativity. Holiday cards; can’t live with them, but can’t live without them because they keep coming in the mail. I don’t know about you, but I am overwhelmed with trying to give all those beautiful holiday cards dedicated space on the fireplace mantle. Never does my bookshelf look smaller than when I am trying to find enough space for all of this holiday season’s cheer. Inevitably, they pile up on the kitchen table and you know you’ve been beaten. 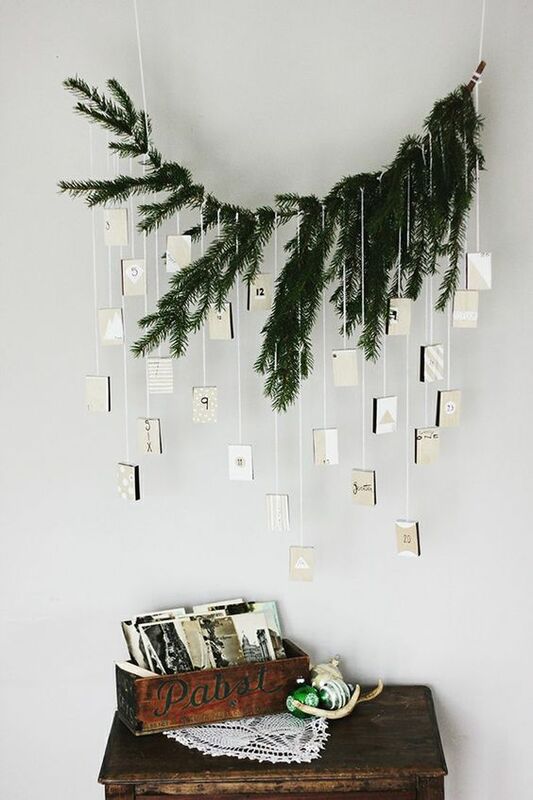 This season, try displaying those cards and photos a little differently. Look no further than your backyard or the park for inspiration. Find a small branch or series of twigs that call to you and tie up your photos and cards. The staggered heights will bring a bit of warm chaos for your design. Add ornaments if you’re looking for a little extra bling. Click through the photo to find more ideas like this one. Okay, okay, pine cones may not be the most inspired decorating idea for holiday decor but these simple tricks will make those pine cones shine. Idea number one: garlands. If you are able to gather enough of these spiky pine droplets, then take the opportunity to turn them into something bigger. Track down some burlap, thick twine or even ribbon and simply tie the pine cones on. The distance between each medallion can vary depending on how heavy you would like it to be. 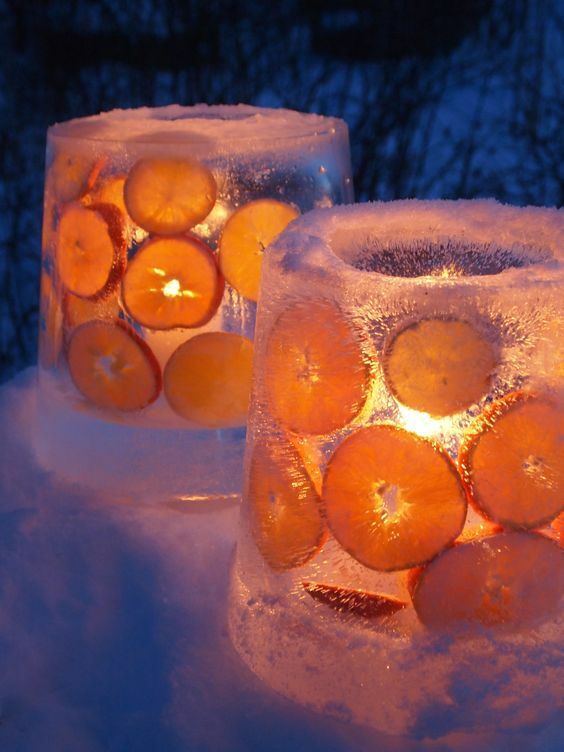 Add some dried orange slices, cranberries or popcorn between each pine cone for some extra flair. If you are ambitious, find out how to scent them here and follow the link in the photo to find the source of this truly amazing garland. To Paint? Or to Bleach? Changing the color will totally change the personality of this time honored classic. 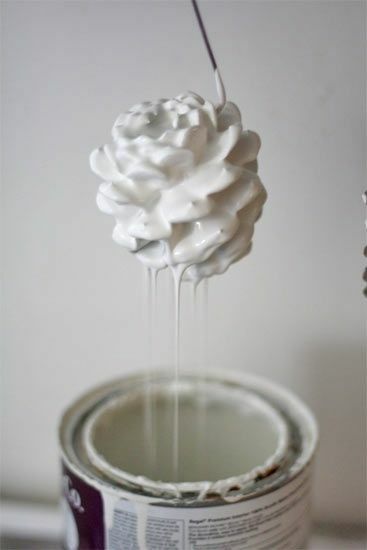 Bleaching pine cones does take quite a while, think a couple of weeks, so if you are looking for more of a quick project, try painting them! You can go full tilt or just do a little color blocking and dip the pine cone half way. Painting can also be a fun project for the whole family to take on. If you’re feeling especially ambitious, try an ombre cone. What is great about pine cones is that they will follow you from your Thanksgiving feast all the way through to the new year. One last word on pine cones; make sure you debug them! You can bake them or kill them with bleach if you decide to blanch them but either way, this is a crucial step. You want to open your home to guests not bugs this winter. Click the photo above for exact directions and safety instructions for bleaching pine cones. These require a little cooler weather but they are worth the wait. The best thing is they are free and easy to make. It is a great activity for kids to join in on and, best of all, the prep time is as long or as short as you want it to be. Their creation is as simple as 1-2-3. First find a bowl, or a bucket if you want a larger ice candle, then find a smaller bowl and tape it into place above the larger vessel (find the tutorial and pictures here). Then you pour the water in and add decorations as you please. Put the whole kit and caboodle outside to freeze overnight and let them warm up a little to get them out or their bucket cages. Repeat as many times as you like and keep them outside for beautiful luminaries that last the whole winter. Once piece of advice, make sure your candle, or solar path lights if you so choose, can fit into the inner bowl you use to make the candle. Fun fact, they also make a great wine chiller for your next holiday party. Now, the original idea was taken from a Swedish website and is available for your translating picture by clicking the photo above. However, for more clear directions, check out this site to find out how to make your own. As the leaves continue to fall and the snow starts to fly, get some inspiration from your backyard and embrace the new season. These little touches will warm your heart and your home. Share your favorite ideas with us on Facebook and find more ideas on our Pinterest Board. Happy crafting!